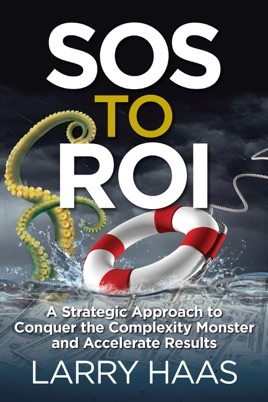 The Blueprint to Conquer Complexity and Accelerate Results: Don’t wait for your SOS moment before you attack the Complexity Monster. This book shows how you can build the organizational capability to perceive, plan, align around, and (amidst complexity) implement the highest-priority changes that will keep your business at the edge of its competitive max. With the advice in this book you can not only make your business system better today, but also build it stronger and more adaptable for the long haul ahead.